The title of this blog is one of the phrases which make most authors want to reach for the nearest automatic firearm and ammo clip and let rip. ‘Oh well, writing comes so easy to you,’ being another to ignite the flames of murder in an author’s eyes. And, don’t even let me get started on ‘you’re so lucky’! So, let me tell you a little about my own personal journey into print just to balance the scales a little. It starts in Kildare, where I was born, in a large, reputedly haunted house on the edge of the Curragh plains. I was the fourth child, second girl, in a family that would eventually swell to six children – an evenly matched three boys and three girls. Six children?! Gasps of horror. But, in fact, that was a fairly standard size Irish family at that time. It wasn’t uncommon to find families of 10 + and I personally knew one family of 24. Contraception, other than by the rhythm method was verboten by the Catholic Church. One can only assume, therefore, that many Irish couples were completely tone deaf. I didn’t excel at school, although I was bright enough. The only subjects to light my fire were English and History, though the nuns lit many a fire underneath my backside! Most of my time was spent day-dreaming, gazing out the window and writing stories in my head. I was a voracious reader who wanted nothing more than to be a writer . My reading tastes were truly eclectic, anything from the Brontes and Austen, to Steinbeck and Solzhenitsyn. Still are! My teenage years were documented in poetry, the majority of it absolutely awful. Still, I wanted to be a writer and that’s all there was to it – or so I thought. My mother soon disabused me of the notion and informed me in no uncertain terms that lofty literary ambitions were all well and good, but first there was a ‘real’ living to be earned. Thus, my glittering career got off to a less than glittering start with a job in an insurance company, followed by a job in a bank, followed by a job in an accountant’s – are you getting the picture here? Still, as I schlepped back and forth on the 9 – 5 treadmill, there, burning bright as Blake’s Tyger at the forefront of my mind, was the lure of the pen. I got engaged, lovely guy, lovely ring. Bought a house, lovely house, in lovely suburban Dublin. Lovely future planned. Then it all came crashing down! Why? The lure of the pen! In my heart I felt as though I was suffocating and my dream of being a writer was suffocating right alongside of me. So, I hightailed it off to London in search of ‘a larger life’. I found it too and had a whale of a time hanging out with musicians, artists and writers and dating all sorts of ‘unsuitable’ exotic men, including an Arab prince and a Spanish bullfighter. Dawn became the signal that it was time to kick off the dancing shoes and go to bed! Sadly, it all came to an abrupt end when I met and fell head-over-heels in love with my first husband, a tempestuous Spanish Moroccan. Within the space of a year we had plighted (or, more accurately, blighted) our troth and settled down in a state of domestic non-bliss. In rapid succession, I shot out two boys, the younger of whom suffered from a severe blood disorder. Prince Not-so-Charming soon fell in love all over again, only not with me. The lady/ladies he cheated with were all in the region of 14.5% proof and beautifully adorned in green or brown bottles with fancy designer labels. Money became an issue. There wasn’t enough to feed the children, pay the bills or keep the roof over our heads. I was practically living at the hospital with my youngest child, so utterly dependent on my husband to provide for us all. He, in the meantime, was out buying bespoke Italian suits and shoes, bling watches and rings – one Christmas I considered sticking a fairy on top of his head and standing him in the corner in a bucket. I, on the other hand, became a charity shop botherer and developed an expert eye for a bargain. Yet, even then, as I lay listening to him fall down the front steps and knock on the door with his head, I still dreamed of writing. ‘This Too Shall Pass’ became my favourite mantra and, eventually, it did. My son grew stronger, strong enough to go to school all day and I went back to work, this time for a firm of solicitors. I bought an old computer – one that typed in bright orange – and started work on my first book, (although, third to be published), Sunshine & Shadows (newly rebranded for its ebook incarnation as Once Upon A Time In Galway). He stood by, laughed and mocked. I was promoted at work and, suddenly, the hitherto parlous coffers were glowing with promise. I paid the bills, took charge of the mortgage and booted him out! The real icing on the cake came just after – a three-book publishing contract! Did I crow? Darn right, from the rooftops! So, to revisit the top of this blog – did I have the time? Yes, but only because I MADE time, despite all the odds and no matter how exhausted I felt. Was I lucky? Yes, in the sense that my hard work paid off after TWENTY ODD (in every sense of the word) years. Did writing come easy to me? No! Writing never comes easy. It is hard work. It takes perseverence, bucket-loads of stamina and a skin like a rhino’s hide to weather all the rejections that come winging their way in the post. So, please, if you are ever tempted to issue any of the abov e innane statements to a writer, think twice, then think twice more. She, or he, may kill you horribly in their next book. Yes, I have. But, en route, I fell on my backside more times than I care to remember. And, each time, after snivelling and turning the air blue, I picked myself up and carried on. Don’t get me wrong. I’m not setting myself up as a paragon of virtue. I have no nice shiny halo. It was the dream that kept me going. Nothing and nobody was going to stop me. Several books down the line, I think I might safely say mission accomplished. And if I can do it, so can you. No matter how busy your life. No matter how complex. Do yourself a favour and MAKE THE TIME! Even if it’s only 30 minutes a day. Ever wondered what it would be like to be God, even just for a day? In my own writer’s fictitious world, I am God. I create my own world, although it takes a lot longer than seven days and there’s precious little rest at the end of it. B. I was never quite sure from whom it needed parting. On many an occasion, however, I have parted red wine from a bottle and made it disappear like water down my throat. A very neat trick also known as my party-piece. As creator of my world, I am judge, jury and Terminator. I get to mete out the kind of justice of which the judiciary in the real world seem quite incapable. Baddies always get their comeuppance, plus a long stay at one of HM’s splendid custodial establishments to reflect upon their Strangeways. Life in my world, means life! There is no get-out-early clause for good behavior, that good behaviour in my book, literally, coming far too late! In Tara-world, the hero always gets the girl. She might not be the girl he wanted but, by golly, she’ll be the girl he needed! Good inevitably triumphs over evil. (You can take the girl from the convent, but you can’t take the nuns-beat-it-into-me Catholic doctrine from the girl). Mysteries never go unsolved (unless a sequel is in the offing) and, best of all, the reader gets to say ‘huh! I knew it was the one with the squint all along’, thus destroying hours of complex plotting and back-breaking, red-herring scattering in the space of a caustic breath. Yeah, verily, I say unto you, in my world the author is God! And that’s the way, I like it, uh, huh, uh, huh. Apologies to KC and the Sunshine Band if I have just infringed copyright. Actually, scrap that. I’m God – so, sue me! For the want of a screw – don’t let a marriage be lost! At a recent girly evening with two friends my heart sank when one, fuelled by too much Sauvignon Blanc, disappeared to the loo, and the other leaned across with that confidential look you know is going to land you in the brown stuff draped across her face. Please, I begged mentally, please don’t make me the recipient of secrets that should never be told. Too late, her mouth was already flapping! ‘I,’ she announced brazenly, ‘am in love with Loo Friend’s husband.’ My jaw dropped. It’s one of the expressions I use to express disbelief. When really staggered, I blink furiously too and make mad mewling noises. In this case I did all three. Try it; it’s harder than you think. Anyway, the reason for this breadth of staggeredness is that Loo Friend’s husband could easily pass for the lovechild of Les Dawson and a pot-bellied pig, whilst she of the adulterous heart is married to nothing less than a Clooney clone. As my jaw reached the point of dislocation, she took pity on me and wafted a casual hand. ‘Oh, I don’t mean like that! What I mean is that I am in love with his manual dexterity.’ What on earth had she and Pot-belly been up to? I could feel the sweat start to bead my brow. ‘His DIY skills, idiot,’ she clarified and it all began to make sense. This woman, you see, has lived minus a staircase for, oh, something approaching five years now. Since her house is on three floors, this presents something of a problem and the rope rigged up by the Clooney Clone, whilst doing wonders for her bingo wings and inner thighs as she shimmies up and down, is not entirely practical. The children and her eighty-year-old mother ascend and descend in a wicker basket, and the Zimmer frame is a very tight fit. The Clooney Clone has every intention of getting round to it, just as he has every intention of getting round to plumbing in the bath, at present in the garden and serving as a herb garden, as well as finishing the 101 other DIY jobs commenced with great enthusiasm and abandoned with even greater enthusiasm. I began to feel the first stirrings of envy in my own heart and, you know, there’s something endearing about pot-bellied pigs, though nothing will convince me of the merits of Les Dawson. I too am married to a man to whom DIY is a foreign body. Oh, he can walk the walk, especially up and down the tool aisles of Homebase and Wickes but, when you come down to it, he doesn’t torque the torque. His interest is more in the acquisition of said tools, than in the usage and all too often they lie abandoned and rusting, through failure to PUT THEM AWAY. Even though he has a toolbox. Several, in fact. On the other hand, if you want to know the in’s and out’s of the Hadron Collider, the strategies used in every naval or military battle since God was in nappies, or obscure facts generally known only to eggheads in top-secret Russian laboratories, he’s your man. But DIY? I write this whilst balanced precariously on a chair, the seat of which has long since parted company with the frame. The three matching chairs match, alas, in every way. The 1930s front door acquired recently and which I hoped might lend a semi-respectable appearance to the exterior of the house, has been painted with royal blue metal paint and is a right royal mess. A neighbour, giving it the once over, was reminded of the fact that she had forgotten to buy bubbles for her son’s birthday party. In our living room, the wallpaper folds gently across where the walls intersect, a magnet for small fingers feeling the urge to poke their way through and create a nice big hole. A tap bought three years ago to replace the leaky kitchen model has not yet been unwrapped. The leaky tap, in the meantime, now gushes from several places like the Trevi fountain, making me thank God that water meters are not yet compulsory. To any man reading this who may be suffering from qualms regarding his appearance, fear not. Simply take up your arm & hammer and prepare for a deluge of DIY-deprived/botched desperate women. As for me, I’m signing on for evening classes in carpentry, plastering, building, plumbing . . . The test was negative. Her last shot at IVF and she’d failed again. And yes, failure is exactly what it felt like, even though the consultant had made no bones about her chances of conceiving being next to none. Grimacing wryly, she tossed the used test stick in the wastepaper basket, her sense of inadequacy intensified by the thoughts that every other woman in the world seemed able to accomplish what she couldn’t. Some at the drop of a hat! How many times had she heard women say exactly that? Usually accompanied by a smug self-satisfied or arch look. But not her! Never her! Sick at heart, Annie could hardly believe it. She’d pinned so much more than she’d realised on that old third-time-lucky adage and on the platitudes trotted out by well-meaning family and friends on such a regular and monotonous basis. Mind you, she wasn’t young any more, well not in fertility terms – she was thirty-eight and the sands of tine were making their descent at an alarming rate. Even if she had managed to become pregnant she would have been classified as an elderly primagravida, a rather unfortunate medical term which conjured up visions of all things grey, wrinkled and well past their sell-by-date. Most of her friends had escaped the elderly primagravida stage, wisely giving birth on cue in their early and mid-twenties. Former friends, really! As barren month followed barren month, she found it more and more difficult to be around them, found it harder and harder to join in the kissing and cuddling and christening of their newborn children. After a while, anyway she felt she didn’t really have much worthwhile to contribute to the general conversation, which seemed to centre on the virtue of one brand of nappies over another, the agonies of sleepless nights, colic and the merits of single jabs over the MMR. And what did she know about those things for heaven’s sake? They were as alien to her as the intricacies of the off-side rule in football. After a while, it became rather obvious that the other women too had begun to feel awkward with the situation. Oh, not that they said anything – more, it became apparent in the same way they shifted guiltily whenever she came into the room, their eyes sliding away, unwilling to face head-on the almost tangible desperation oozing from her, their childless sister. And so, inadvertently, they clutched their offspring just that little bit tighter, smiled just that little bit more broadly, as if the one act could cancel out the other, until it seemed kinder to everyone simply to let her visits tail off. Family weren’t quite so easy to dispense with, however. Especially a family like hers who, proud of its record in the fertility stakes, sought out every opportunity to celebrate that same reproductively with massive Walton-style get-togethers, and this Christmas promised to be the get-together to end them all. Scowling, she upended her glass of wine, tipped it down her throat and immediately reached for a refill. Pensively folding his paper, David placed it neatly down by the side of his chair. Defiant, Annie’s chin came up. “I know, David. There’s no need to patronise me. I do watch the news, you know. I do read newspapers and keep abreast of current affairs. My brain is not directly connected to my ovaries, although I know there’s been times recently when it must have seemed like it was.” She sighed, a long ragged sound that seemed to travel all the way up from her toes. Winding a long strand of her hair around his finger, David tugged gently, tipped her head backwards, then leaning forward dropped a gentle upside-down kiss on her lips. Nothing had prepared her for Nigeria. Nothing had prepared her for the scorching, unrelenting heat, the all-pervading choking cloud of orange dust that clung to hair, skin and every available surface, and the swarms of flies that bit, sucked and gorged with a ferocity unsurpassed even by Hannibal Lecter. But, above all, nothing but nothing had prepared her for the abject poverty of the Nigerian villagers, whom she presumptuously had come to help. Overwhelmed by the task before her and fearing she’d made a huge mistake, it was all she could do not to beg David to take her straight back home again. But, of course, she couldn’t do that. David was here on a work assignment and she’d never forgive herself if she became a hindrance. Consequently, she hoisted a brave smile on her face and waved him off with a cheery grin as he dropped her outside St Theresa’s Hospice and drove off to meet up with another news journalist. Sr. Agnes gave a peel of laughter that was almost a shout, bursting into an impromptu rendition of Mary Poppins. “Start at the very beginning, that’s a very good place to start.” She grinned at a passing Nigerian, who reciprocated by flashing his white teeth and executing a little dance that brought gales of laughter from all around. Making a shooing notion like a mother hen, she ushered Annie through the doors of the hospice, where her nostrils were immediately assailed by the strong universally recognisable smell of disinfectant. Leading the way down a large open corridor, occupied on either side by hospital beds that contained people of both sexes as well as children, her mood altered, became suddenly a lot more serious. “Good. Well, here he is, the man, himself!” A moment later, the nun stopped and bent over a cot located at one end of the ward. Reaching in, she chucked the small black occupant under his chin, eliciting a windy smile that caused both women to smile broadly in return, and Annie to go weak at the knees. Annie grinned foolishly back, immediately smitten by the smiling, though somewhat underweight baby. Christmas Eve, and between patients, Sr. Agnes was busying herself putting some last-minute festive touches to the ward. She’d already managed to appropriate a rather large plastic fir tree from somewhere or other and now, decorated to within an inch of its life, it took garish pride of place bang slap in the middle of the ward bringing a touch of gaiety to an otherwise sombre scene. Holding the bottle to the baby’s lips, Annie smiled tremulously in response, her eyes despite her best efforts immediately welling up. Annie nodded, grateful that, unlike everyone else, Sr. Agnes left the platitudes alone, made no attempt to apply a band-aid to what was, in effect, a surgical wound. “Thanks,” Annie sniffed, strangely enough almost immediately beginning to feel better than she had for a long time, as though a very great weight had suddenly begun to lift off her shoulders. That’s what came of being understood, she supposed, being told it was all right to feel bad, to have her grief at being childless validated. Too many people shied away from that kind of thing, didn’t understand that often childlessness, in its own way, was like a kind of bereavement and that the only way to deal with bereavement was simply to listen and let the bereaved talk or cry about it, as they wished. “De nada!” With a slight consolatory pat on her shoulder, Sr. Agnes went off to try out her changing-rooms routine on another part or the ward, a long piece of red tinsel like a feather boa, trailing incongruously in her wake. Later that evening Annie asked David if his report was going well, then reassured by a nod that it was, couldn’t refrain from bursting out with her own news. David frowned, his relief at seeing her look so happy, tempered with anxiety. “Look, Annie, you don’t think you’re getting too fond of that little baby, do you? Only . . .” Uncertainly, his voice trailed away. David sighed, dropped a light kiss on her hair. “Do you know how much I love you?” he asked softly. Winding her arms around his neck, Annie smiled impishly up at him. Sr. Agnes had organised Karaoke Carols, bravely kicking off the proceedings herself with a rendition of ‘Silent Night’, which, at best, could be described as ear-shattering and, at worst, completely toxic. And so, with Kaufi held tight in her arms, Annie bent her head and sang to him ‘The Christmas Child’, her sweet clear voice spiralling into the air and transfixing the whole ward, at the same time eliciting something that sounded suspiciously like a sob from Sr. Agnes. “Beautiful! Beautiful!” Sr. Agnes clapped loudly as Annie drew softly to a close, giving the patients their cue, though most of them hadn’t understood a word. What they had understood, though, was that they had just witnessed something very special, something that made then forget their own aches and pains, something that just for a few moments had raised them almost to celestial heights. What they had witnessed was love, pure and simple. Gradually, those who were well enough took a turn at the mike. Most made up the words as they went along, which only served to enliven the proceedings. One, inspired by a passion for Michael Jackson, treated them to a moonwalk to the tune of “Adeste Fidelis”. Another, a young woman, with only days to live, scorned the Karaoke machine altogether and sang a jaunty song in her native tongue that had everyone, regardless of race, colour or creed, clapping along. Sr. Agnes was persuaded to return for an encore and got horribly mixed up between ‘Rudolph The Red Nosed Reindeer’ and “I Saw Mummy Kissing Santa Claus”, which gave rise to much hilarity and all sorts of interesting connotations. “A few weeks ago,” Annie reminded her, as red-faced and breathless she collapsed into the chair beside her, “you told me there were worse places to be than here. And I didn’t believe you, I didn’t believe you because all I saw was the poverty and the pain and the hopelessness. But tonight . . . “ She spread her hands helplessly, quite unable to put into words just how deeply she’d been moved. Dipping her head, Annie subconsciously tightened her grip on the baby, causing him to wriggle uncomfortably about. Someone had rigged up a star above the manger, a poor misshapen effort of a thing, crudely fashioned out of cardboard, silver foil and tinsel. Attracted by it, Kaufi cooed and kicked and waved his stick-like arms, blissfully unaware that the nice lady who had looked after him for the past few weeks was down on her knees and praying for a miracle. After a while, he stopped and fell asleep. Annie grinned to hear the excited pleas coming from the sitting room. “Mum! Mum! Can I put the star on the Christmas tree? Dominic did it last year.”! Coming through from the kitchen, a tray of buns in her hand, she smiled down on the red agitated face of Danielle, her six-year-old adopted daughter. Dominic, eight, and also adopted, stamped his foot in a display of temper at not getting his own way. “Why? It’s only a piece of old rubbish anyway. Everybody else has an electric star on top of their tree. Or a fairy! Why must we have a piece of old rubbish? Annie laid the tray down on a nearby table. At the far side of the room, David paused in the act of blowing up a balloon, his glance lovingly seeking hers above the children’s heads. Tender, she returned the glance, bent her head again towards the children. It is with great sadness that I announce the death of my old friend, Jago, who ‘fell asleep’ in the middle of the road recently as my husband was driving back from Birchington. Just round that dangerous corner near Quex, it was. Distraught, he phoned the emergency services, who arrived an hour and a half later, by which time Jago was no longer asleep, but had completely flatlined. Arriving on the scene, the knight-of-the-road errant took one look and shook his head in that sorry-for-your-trouble-mate fashion reserved for grieving relatives. ‘Knackered,’ he pronounced after a cursory examination, following it up with ‘Banjaxed,’ in case he had failed to make his diagnosis abundantly clear. ‘How old?’ he asked, head still in sorrowful metronome mode. ‘Er, nineteen,’ my husband confessed, manfully trying to hold back the tears, which resulted in his voice skidding into the girlish register and making him look, and sound, very silly indeed. A bit like Dolly Parton. ‘Is . . . is there anything . . .’ the husband asked hesitantly? Which he did and maybe the mechanic there really was Jesus because, in a few days, Jago had staged a Lazarus-like resurrection and was back on the road again. ‘Timer-belt,’ Jesus aka the mechanic said. ‘Lucky it didn’t knacker the pistons’. Sadly, our joy didn’t last for long. Jago is due for his MOT next month and there are not enough donor organs in the world to get him through. So, we have taken the decision to retire him to that great scrap yard in the sky or somewhere nearer if we can find one. And, silly though it sounds, my heart is broken because Jago was more than just a car. He was emblematic of great changes in my life. I bought him when I took the decision to move from London to Thanet. He was my first ‘fun’ car, a two-seater rag-top, kept purely for the joy of meandering up and down country-lanes with the roof down. I drove him down to the beach and sat, sun streaming in, roof down, stereo playing gently, whilst I worked on a novel one blissful summer a few years ago. He was with me when I met my husband, a confirmed Jag man. He is now a reformed MX5 man. 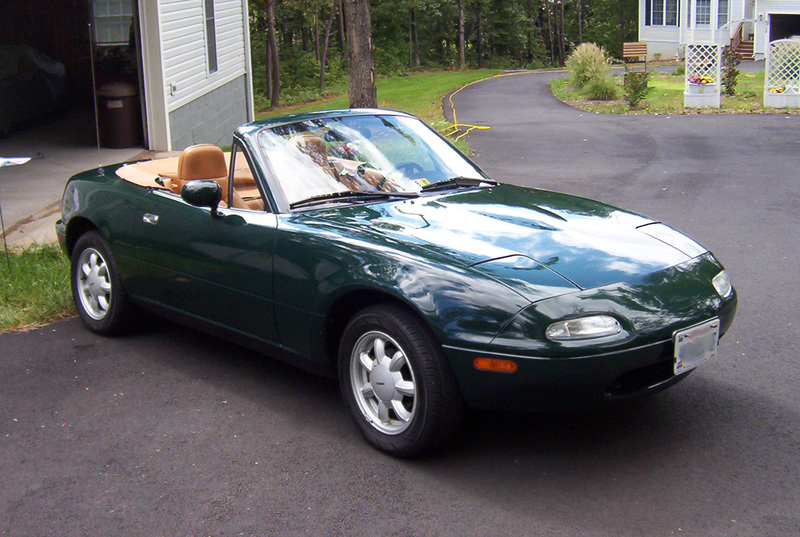 So, goodbye my lovely, little, British racing-green friend. Thank you for the good times. And even though I am replacing you with a slightly younger model – yes, exactly like you, only in black – I want you to know I still love you and always will. Toot! Toot! Charity Begins At Tome – Bringing Charity Shops to Book! My husband and I are both book worms, as a result of which our house often resembles the local library. Book shelves overflow onto the floor, then rise in volcanic stacks, the summit growing ever higher. Elsewhere, ruthlessly culled boxes, full to the brim, await transportation down to the local charity shops. Not any more! Having recently spoken to a number of disgruntled elderly friends and acquaintances, many subsisting on a state pension, I have discovered that they are being priced out of the charity shops. The £3.00 and £4.00 price tag for a second-hand book is, quite simply, beyond their meagre resources. And, whilst I accept that the charities’ aim is to raise money for their particular cause, I would also contend that by pitching their prices beyond the affordability of the majority of their customers, they are biting the hand that feeds them. Okay, so we all know there are also well-off canny people who trawl the charity shops for vintage or designer items they can sell on Ebay for a nice big profit. Others, more worthy souls, flash their green credentials at the drop of a pre-loved hat in a bid to save the world’s resources by choosing to re-use what is already in existence. But, the majority of charity shop users are elderly people on a pension and low-income families whose needs are basic and nothing whatsoever to do with profiteering, moralising or saving the world. However, rather than just moralise, myself, for the past few months I have been on a scouting mission around the local charity shops of Thanet and Canterbury. The results were mixed but, overall, the picture emerging tallies with the experiences of my elderly friends. Books, in particular, have been hiked up to a ridiculous degree, the price structure seemingly plucked out of thin air. An anorexic book of no more than a couple of hundred pages is often priced the same as a massive tome, and a book by a well-known author regularly priced at two thirds (and more) of the original cost. Bearing in mind, (and as an author I know this all too well, to my own cost), that brand new books are often discounted to an enormous degree, pitching used books at the higher end of the scale begins to look less like shrewd business and a damn sight more like greed. Let me make it plain, I am talking about ordinary paperbacks and hardbacks and not rare, out of print, first edition, signed by some great, now-dead, literary giant. Often, it is the big chain charities that are the more culpable in this regard. In Canterbury, one very well known outlet, had priced its books to such a degree that it was cheaper for the customers to visit the discount book store a few metres up the road and get three brand-new, current books, for less than the cost of two used ones (in various states of disintegration) at that store. That is not just bad business. It’s sheer stupidity. As a donor, it’s important to me that the books that I paid good money for and which I am donating free gratis, be priced reasonably and placed within the grasp of those in most need. The same goes for clothing and bric-a-brac, both of which seem also to have suffered a seismic rise in pricing. For example, I saw items of used clothing priced HIGHER than their original selling price. What’s all that about! With stores such as Primark, the supermarket clothing brands and street markets, it is becoming a toss-up as to which is cheaper to buy – used or new. Given the choice, I think I know which the majority would plump for. In Ramsgate, one charity shop has a number of pictures for sale. There is nothing special about them. They are pretty, but pretty ordinary. Prints. Not originals. Not limited edition. Not particularly desirable. Not new! All carry price tags in the upper twenties and more. Six weeks on, not one has sold. I’m not a gambler, but I would lay good money on it that six weeks further on, six months further on, they were still be there and the charity will have profited not one whit. Greed and stupidity again! Lower the prices, make the sale. ‘Don’t ask the price, it’s a penny’, was the mantra used by Michael Marks when he opened his first bazaar in Leeds in 1884. He later teamed up with Tom Spencer and the rest, as they say, is history. The charity shops might do well to revisit that particular school of thought. Pile ‘em high, sell ‘em cheap. Obviously, I am not advocating that everything be reduced to a penny, but a judicious lowering of prices will bring in more punters and result in more sales. Better the heel off the loaf than no bread at all! And, before someone comes back and hits me with the cost-of-administration card, let us not forget that charity shops benefit from exemption from corporation tax on profits, a zero VAT rating on the sale of donated goods and 80% mandatory non-domestic rate relief. This 80% relief is funded by central Government. A further 20% rate relief is available at the discretion of local authorities. They are also staffed, in the main, by a wonderful army of civic-minded, unpaid volunteers, so a little latitude price-wise would not go amiss. After all, we are in the grip of an economic recession. There is a real danger that charity shops run the risk of donors finding alternative methods of disposing of their unwanted goods and disheartened buyers dwindling away. I have also noticed an attempt by a number of outlets to make their store look more attractive, more boutique-like. Fine. Nice. We all like attractive surroundings. But a change of decor, an artistically arranged shelf, better quality air freshener, does not confer the right to charge boutique prices. Second-hand is second-hand, dress it up how you may! As I type, I can see two large boxes of books gazing forlornly at me from the floor of my living room. A further hunt will, I have no doubt, result in as many more, all on the lookout for an appreciative new home. I will invite my friends to come plunder, and whatever is left I will distribute direct to hospitals and care homes, and to the few charity outlets I found where reality still holds sway. Sometimes, the cost of charity is not to be borne.